Bitcoin SV, or Bitcoin Cash SV, is a cryptocurrency created in 2018. It is the result of a software upgrade to the Bitcoin Cash (BCH) protocol that resulted in a hard fork, which also created Bitcoin Cash ABC. In 2018, a software developer called ABC Bitcoin proposed an upgrade to the Bitcoin Cash protocol. The changes included potential scaling solutions for the cryptocurrency by changing the way its blockchain stored information. The upgrades were endorsed by Roger Ver and Bitcoin.com. They also had the potential to allow software developers to create smart contract software platforms on the Bitcoin Cash blockchain. This proposal was met with contentious feedback, especially from prominent Bitcoin Cash developer nChain and its founder, Craig Wright. In response, nChain made its own proposal for a software upgrade, which they dubbed Bitcoin Cash SV (the SV being short for "Satoshi's Vision"), which they argued would be closer to Satoshi Nakamoto's original vision. On November 15th, 2018, Bitcoin Cash forked, which began an intense conflict between miners supporting Bitcoin Cash ABC and Bitcoin Cash SV respectively. In December 2018, a cryptocurrency researcher named Reizu wrote a blog post describing how he was able to spend the same BSV coins twice in what is called a "0-conf transaction" double-spend. This raised serious concerns about the robustness of SV's security. Binance later announced it would delist BSV. Binance's CEO Changpeng Zhao said over Twitter that Wright is a "fraud," and that "anyone who supports BSV from a tech perspective should be attacking the fraudulent Craig Wright, who is poisoning YOUR community, and not attack the rest of the world." He also said that "Anyone thinking CW is Satoshi should read about how a private key works, ie, learn about crypto;" this comment was made in reference to the controversial method by which Wright allegedly "proved" to Gavin Andresen and others that he is Satoshi Nakamoto, a claim he has made multiple times. Later that month, Shapeshift announced that it would also delist BSV. Kraken announced that it would be doing the same, citing "community sentiment" around Bitcoin Cash SV as their primary reason for doing so. According to the announcement, Kraken planned on disabling BSV deposits on April 22, cease trading pairs on April 29, and stop withdrawals of BSV May 31. The BSV community responded with ire. 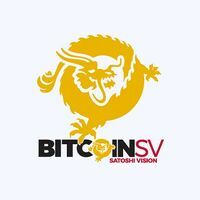 Ed Pownall, a PR representative of Calvin Ayre, founder of CoinGeek.com and one of SV's biggest supporters, accused these exchanges of "market manipulation" and "playing God," and that delisting BSV sets "a dangerous precedent." ↑ Bitcoin Cash Just Split Into Two Blockchains. Coindesk. ↑ Today’s Bitcoin Cash Fork, Explained. BlockExplorer News. ↑ Bitcoin SV's Nightmare Could Be Coming True. Forbes. ↑ Binance Delists BSV, CEO Calls Craig Wright “a Fraud”. Finance Magnates. This page was last edited on 25 April 2019, at 08:15.